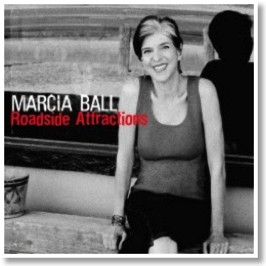 The Grammy-nominated Marcia Ball has earned the respect of blues musicians and aficionados with her genuine fusion of New Orleans swamp R&B and blues-rock with her artful New Orleans piano style. Career achievements include working with soul legend Irma “Soul Queen of New Orleans” Thomas, B.B. King, Muddy Waters, and Clifton Chenier and performing at the White House and in Clint Eastwood’s 2003 documentary film Piano Blues. She informs Jupiter Index about upcoming releases, fond career moments, and favorite artists and records. Jeff Boyce: What future music projects are in store for you this summer? 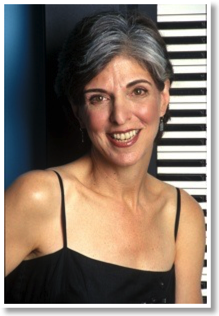 Marcia Ball: First thing up for me, which actually happens before this summer on March 14, is a gig with the Preservation Hall Jazz Band. I'll be playing the songs originally performed by Sweet Emma, The Bell Girl. I hope to continue to work in this direction--on the roots of piano music--with the possibility of a future project in mind. Then our new album, Roadside Attractions, on Alligator Records, comes out on March 29 and we'll hit the road on April 1 for a very intense couple of months of touring which I hope extends into the summer and fall. We'll be going to Poland in the fall and Italy this summer and domestically, we're playing some festivals that we love and some that we've never played before. What would you say have been your top ten memories in music? Early in my recording career, I was on Capitol Records and I got to know and record with the Original Texas Playboys, Bob Wills' band. They were fun, great musicians and the legendary originators of Texas Swing, a style I still love. I have a great memory of playing on a flatbed trailer in a furniture store parking lot in Lafayette, Louisiana with Clifton Chenier. Also, I recorded his song, "Hot Tamale Baby", and dedicated the album to him and got to tell him about that. He said, "Oh, I forgot about that song", then he went out on stage and did it. Throughout the thirty-five plus years of Antone's, Austin's Home of The Blues, all of us musicians were able to see and know and play with everyone who came through there: Muddy Waters, Hubert Sumlin, Buddy Guy and Jr. Wells, Mel Brown--too many to name. One night there, I was playing one fingered B-3 just so I'd have a good seat to see Jimmie and Stevie Vaughan, Jimmy Rogers, Eddie Taylor, and Pinetop Perkins play together. In 1978, my first year to play the New Orleans Jazz and Heritage Festival, I was so nervous I thought I would pass out on stage. It has been a great run of years playing the most wonderful festival that draws a crowd from all over the world. Whenever I get a call from someplace out of the blue, often the way they found out about me was by seeing us at the Jazz Fest. I also saw Professor Longhair that year. I thought maybe I had dreamed that but recently I found the picture I took of him. The other biggest exposure opportunity I ever had and some of the most fun was being on Austin City Limits three times in the first ten years and a couple more times since then. I've made two albums with my fellow women in music. The first, "Dreams Come True" on Antone's Records, was done in the late ’80’s with Angela Strehli, Lou Ann Barton and Sarah Brown. It was produced by Dr. John. That's when I first got to know Mac. The second "girl group" album is called "Sing It" on Rounder Records with Tracy Nelson and Irma Thomas. I had met both Tracy and Irma a couple of times previously but this was when we became friends, a fact that I treasure. Both the records were successful but, more importantly, they're both great music and were fun to do. "Sing It" also gave me my first Grammy nomination. I also received Grammy nominations for "Sing It", "So Many Rivers", "Live, Down The Road" and "Peace, Love & BBQ". Wow, what can I say? I garnered multiple American Blues Award nominations and eight wins including several Pinetop Perkins Piano Player Of The Year Awards. This is a dream come true. We played the White House in 1999 during the Clinton administration with B.B. King, Cephas and Wiggins, Johnny Lang and Della Reese. I have had a band or been in a band since 1968. I can't believe I've been able to do what I love all my life. I have family, wonderful friends, great band members and an amazing amount of travels and adventures and memories. I've been associated with record labels more interested in presenting good music than protecting the bottom line: Rounder, Antone's and Alligator. Can I take some LP's? I would be dancing on my desert island. 1. Al Green at Jam On The River in Philadelphia, 2003. Sounded like an album and I was on the first row in the rain. 2. Hallandale, Florida Miami Pop II, from December 28-30, 1968. Procol Harum, The Turtles, The Grass Roots, Three Dog Night, Jose Feliciano, The Blues Image and The Box Tops, Paul Butterfield Blues Band, Hugh Masekela, Pacific Gas and Electric, Fleetwood Mac, Richie Havens, The Sweet Inspirations, Joni Mitchell, Jr. Walker & The Allstars, The McCoys, Sweetwater, The James Cotton Blues Band, Canned Heat, The Charles Lloyd Quartet, Booker T. & the M.G. 's, Ian & Sylvia, Country Joe and The Fish, Buffy St. Marie, Steppenwolf, The Amboy Dukes and Iron Butterfly, Chuck Berry, Flatt and Scruggs, the Grateful Dead, Marvin Gaye, Joe Tex. Well, duh! I wish I could remember more about it. 6. Jesse Winchester, Maura O'Connell, Karla Bonoff, Guy Clark, J.J. Cale, many others through the years at the Cactus Café and the Union Ballroom on the University of Texas campus. Intimate, personal and acoustic. 7. Closing night of the Armadillo World Headquarters, 1980 with Asleep At The Wheel, Commander Cody and the Lost Planet Airmen, Maria Muldaur. I sat in and played "Sea Cruise" in a white tuxedo. 8. The Delbert McClinton Sandy Beaches Cruise and the Legendary Rhythm and Blues Cruise. These two annual events are festivals on the water and outdo anything I've ever experienced for twenty-four hour music and fun. Would you like to add anything else about your music for our readers? The music I play encompasses the wide range of experience along the Gulf Coast. It's heavily based in New Orleans styles but includes the big horn soul of the Golden Triangle of Texas--Beaumont, Port Arthur, and Orange--and Houston blues and San Antonio rhythm and blues. The Western Swing bounce of Moon Mullican, the Swamp Pop of Lazy Lester, the zydeco funk of Clifton Chenier, it's all in there and the whole idea is to make them dance.